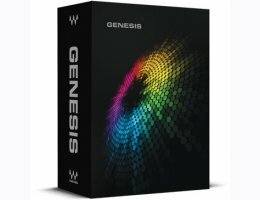 Waves Genesis is a collection of four must-have plugins for live sound. Perfect for venues of all sizes, Genesis is Native, TDM and SoundGrid compatible, and covers all your essential processing needs. Genesis includes the C4 Multiband Compressor for dynamic equalization and tone-shaping; Renaissance DeEsser to control sibilant 'ess' and 'shh' sounds; Renaissance Reverb for space and atmosphere; and H-Delay to create depth and movement. Together, these four plugins form the basis of an expandable, forward-thinking performance system that is ready to grow and evolve with you and your needs. All Waves demo licenses run for 7 days and require activation on a computer or USB flash drive. The demo period begins once you activate the license.